The new brand would have a premium appeal. More than once, Rajiv Bajaj, Managing Director of Bajaj Auto, went on record to confirm that his firm will not enter the burgeoning automatic scooter segment but recently, he clarified his stand by adding that the company is not interested in IC-engine powered scooters. He also said that Bajaj Auto is working on fully electric products that would be to the Indian two wheeler market what Tesla has been for the global car market. To sum it up, if Bajaj Auto launches a scooter in the near future, it will carry a pure electric powertrain. 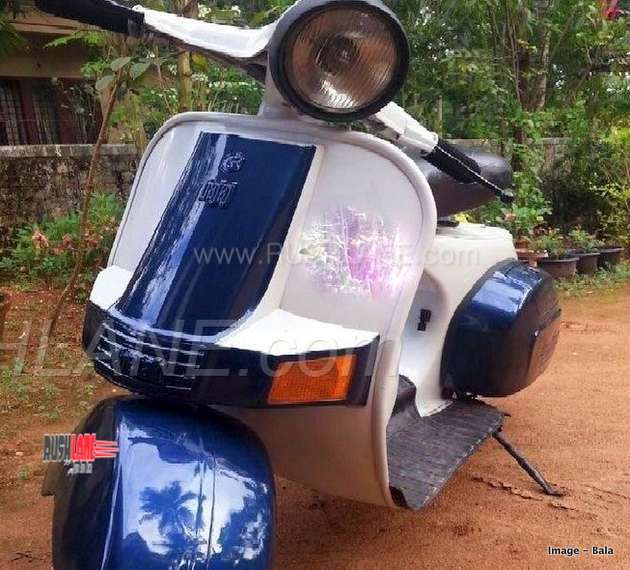 Iconic Bajaj Chetak scooter. Image for reference. With Indian government pushing for mass electrification in the mobility sector, we think it is wise of Bajaj who is thinking about venturing back into the scooter segment after a long sabbatical to focus on zero emission technologies rather than developing conventional solutions with BS-VI compliance. If the previous statements of the MD are anything to go by, the electric two wheelers from Bajaj will have an upmarket appeal with superior performance standards than the current crop of affordable electric runabouts. According to a recent media report, Bajaj is working on a new stand-alone two wheeler brand called Urbanite which will spearhead the company’s EV business. The keyword ‘urban’ hints at scooters as well as electric powertrain. The Urbanite brand is expected to be launched before the end of 2019 with exclusive outlets across the country. These will be completely new retail outlets, which will deliver premium experience to buyers. While the Urbanite brand may have motorcycles in its portfolio in long term, the first product is most likely to be a scooter. There are a set of allegedly leaked design sketches doing the rounds on internet, suggesting that the first Urbanite electric scooter would adopt a retro classic design like the Vespa’s. Premium positioning would also mean state-of-the-art connectivity, infotainment, color TFT display, and a whole host of new features. As things stand now, Bajaj’s Urbanite electric scooter will be competing with the Ather 450 which has limited availability. We think, in order persuade urban commuters in India to consider an electric scooter, it needs to have a portable battery which can be easily removed from the vehicle and charged at regular power socket at homes. Majority of the target audience live in multi-story apartments and find it impractical to charge their EVs overnight if the battery is not removable. It would be interesting to see what Bajaj has in store.